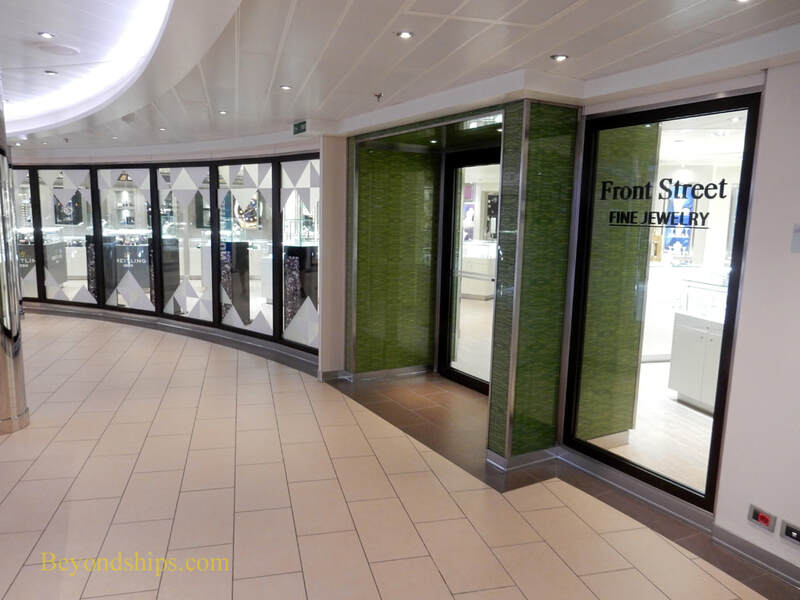 Carnival Horizon has two decks of shopping surrounding the atrium. 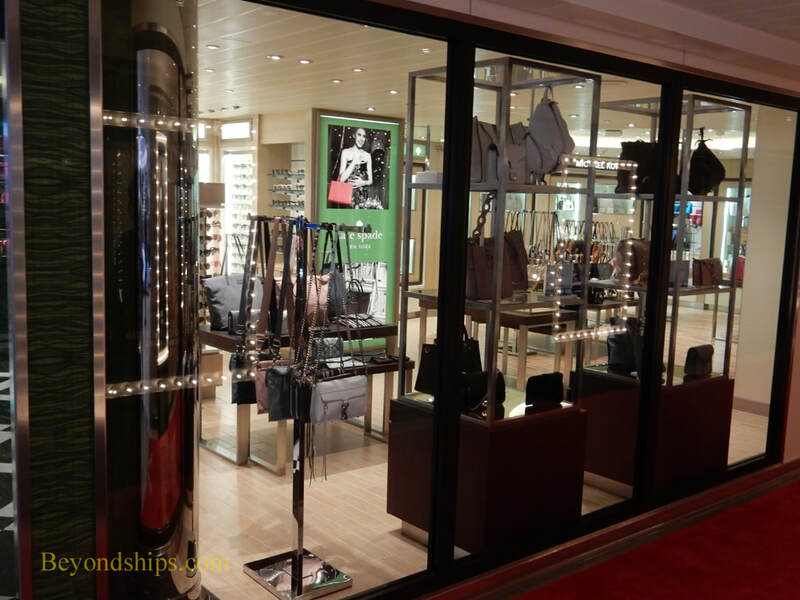 The shops are more upmarket and include name brands like Victoria's Secret. 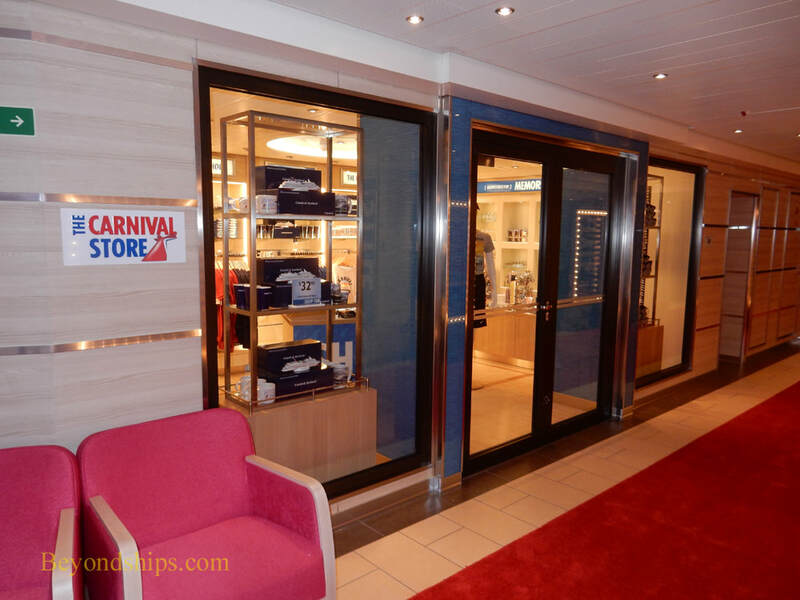 There are still Carnival souvenir and logo shops as well as a duty-free liquor outlet. 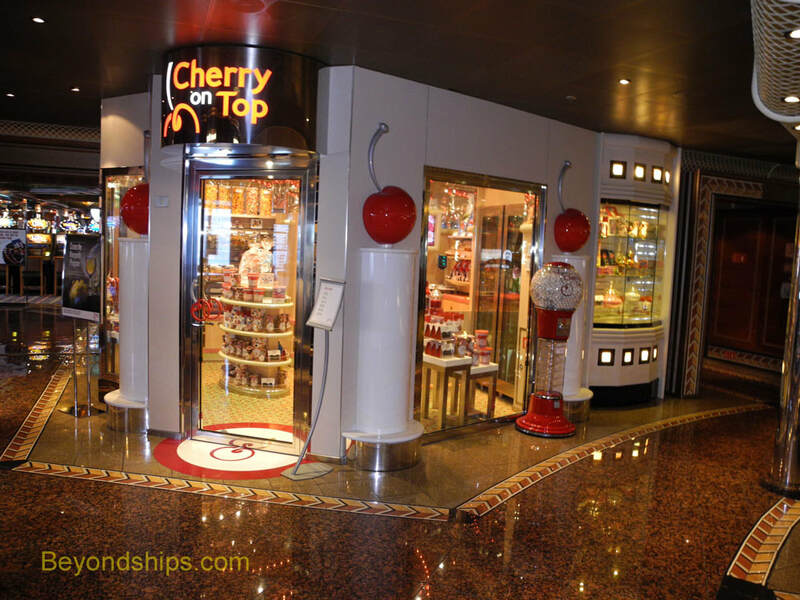 Horizon also has Cherry On Top, Carnival's signature sweets shop. The Pixel Gallery (above) is a photo gallery. 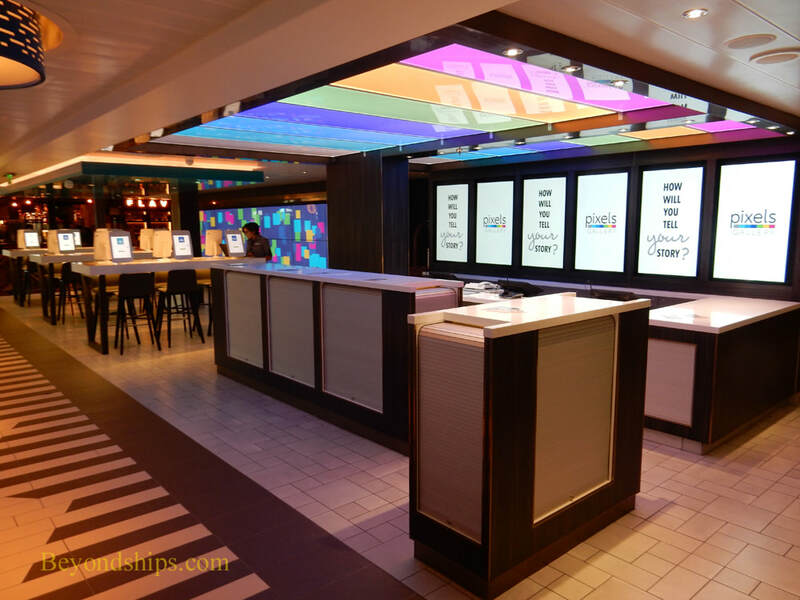 However, there are no racks of printed pictures nor are there the digital display columns as on Carnival Vista.. Rather, guests can browse through photos using touchpads to find the photos that have been taken of them by the ship's photographers. The photo gallery also sells various technology items such as cables and storage devices. Horizon does not have a traditional art gallery that sells paintings and prints. 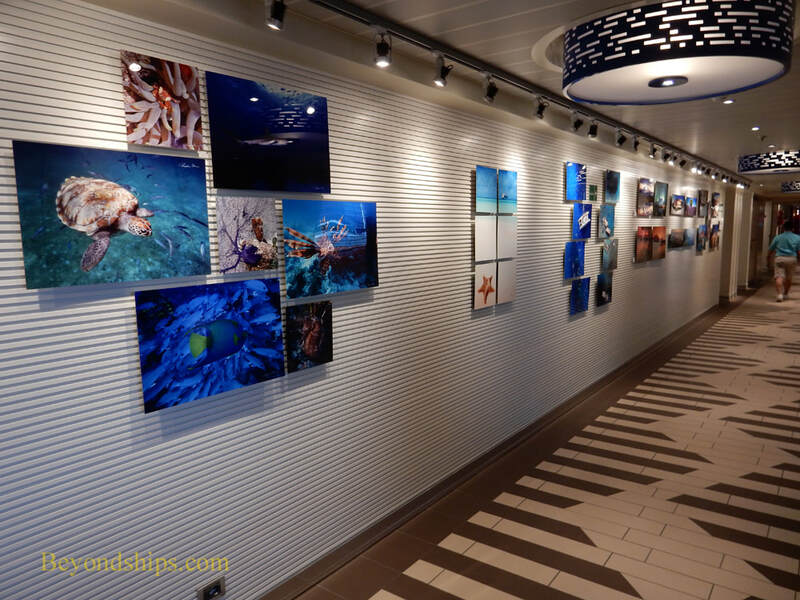 Instead, the space that is devoted to an art gallery on Carnival Vista is the Pixel Fine Art Gallery, which features artistic work by Carnival photographers. 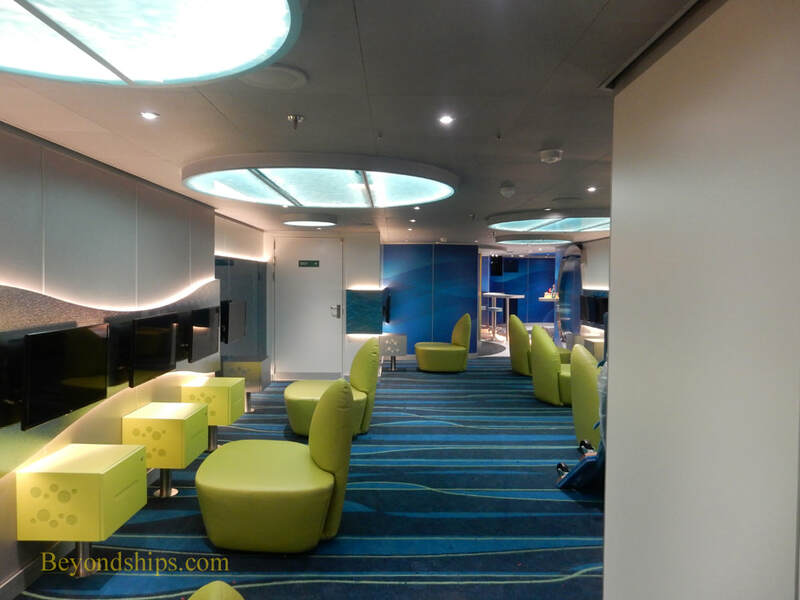 ​More and more passengers are bringing their own devices with them on cruises. Nonetheless, Horizon does have a small internet cafe. 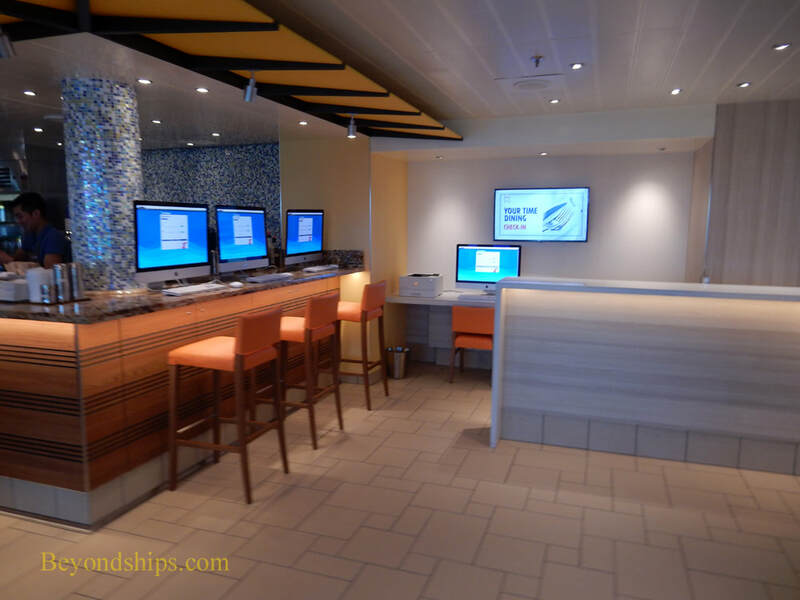 It also has an internet manager who can help with questions about the ship's wi-fi system. The youngest passengers (2 to 11) can participate in the supervised activities in Camp Ocean. The children are divided into three age-specific programs. Pre-teens have their own area called Circle C (left} , which is located apart from the Camp Ocean facilities and apart from the dedicated teen facilities. 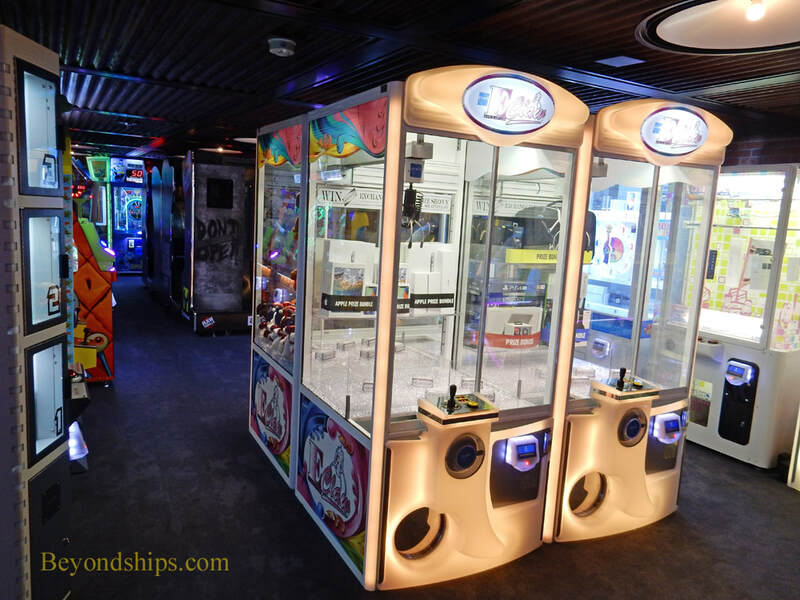 ​Also of interest to young passengers but not exclusively for children are The Arcade (left).